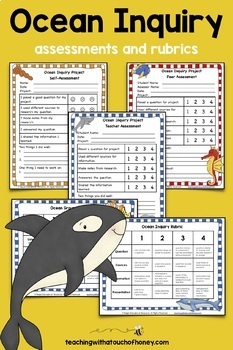 The ocean inquiry project package is a great way to support your grade 1, grade 2, grade 3, and homeschool students as they begin learning about the inquiry process. 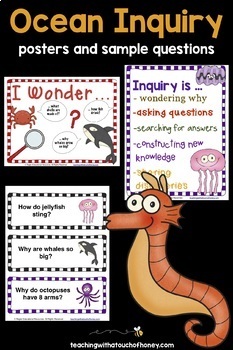 It is also a great way for students to practice using inquiry based learning. 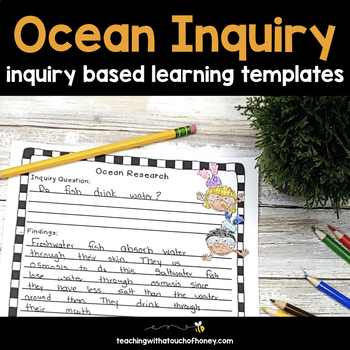 Use this five step inquiry process to practice the inquiry process during a unit on oceans. 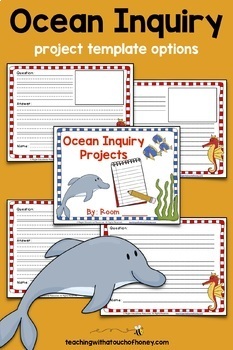 Great for English language arts, science, writing, centers, stations, group work, KWL, projects, research, and MORE! Get your class asking questions, brainstorming, and learning!